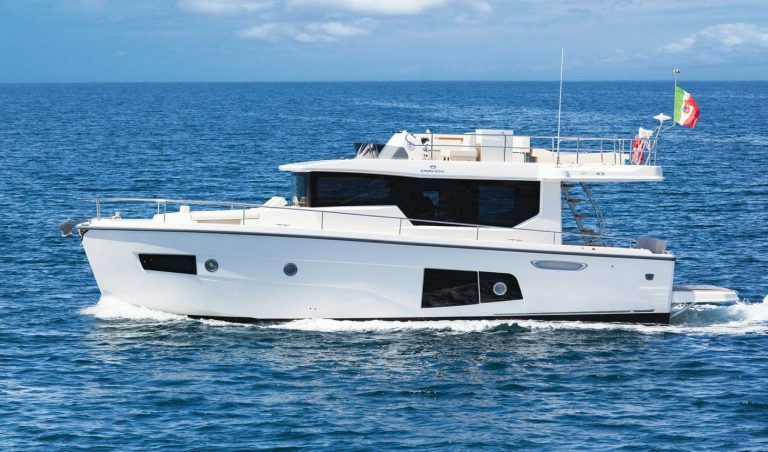 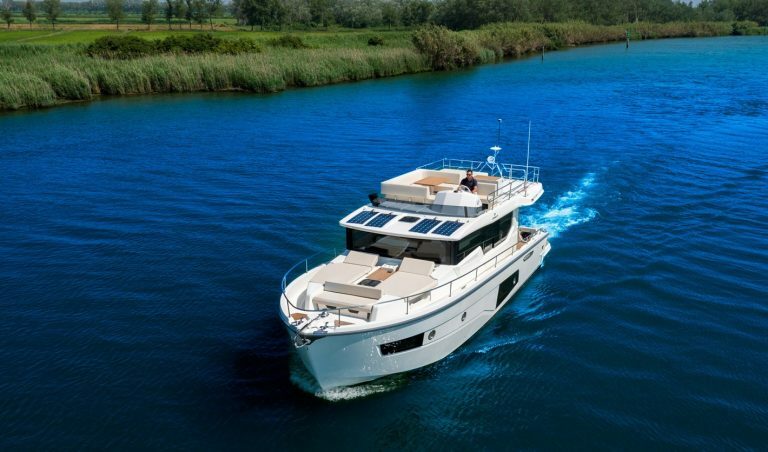 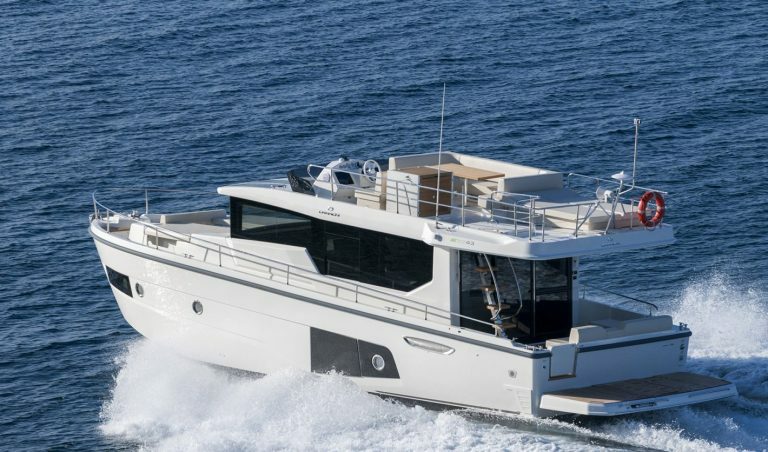 The Cranchi T 43 Trawler is designed to work well at a wide range of speeds, from economical cruising at displacement, to full planing performance when you want to cover the miles quickly. 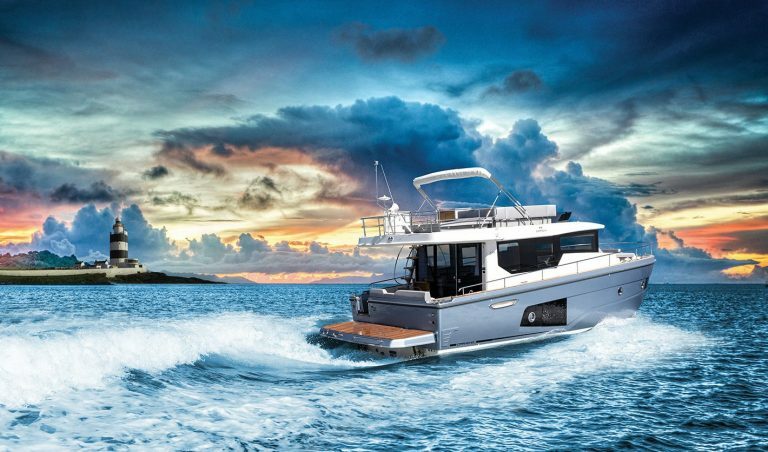 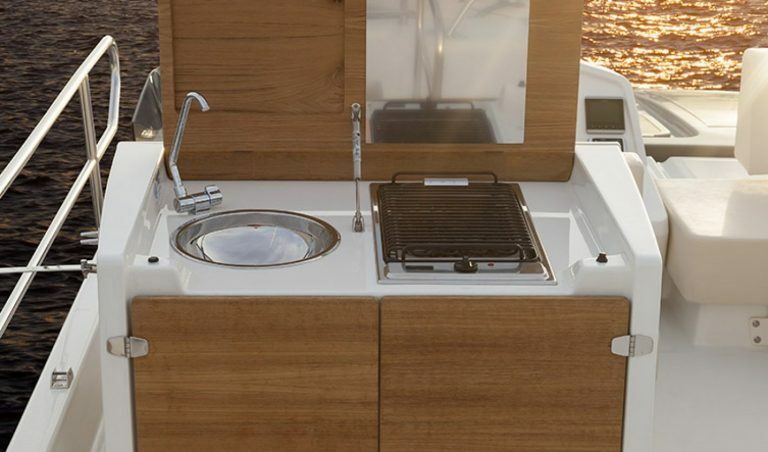 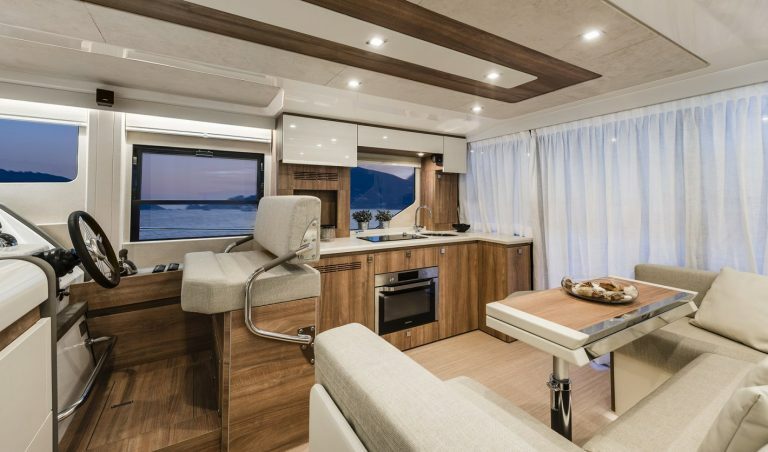 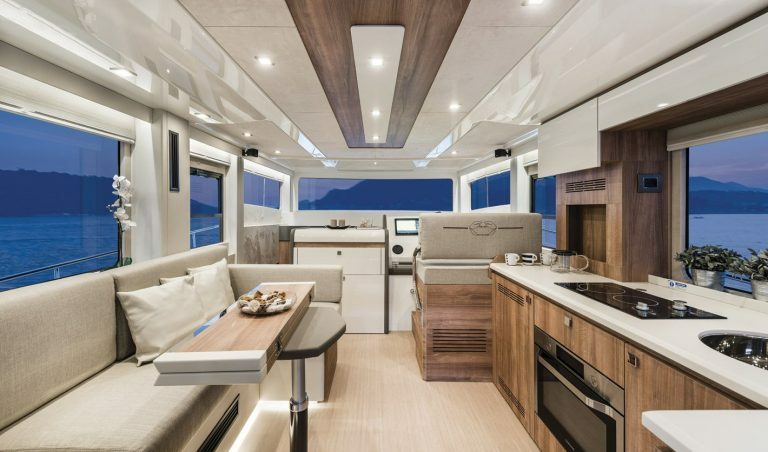 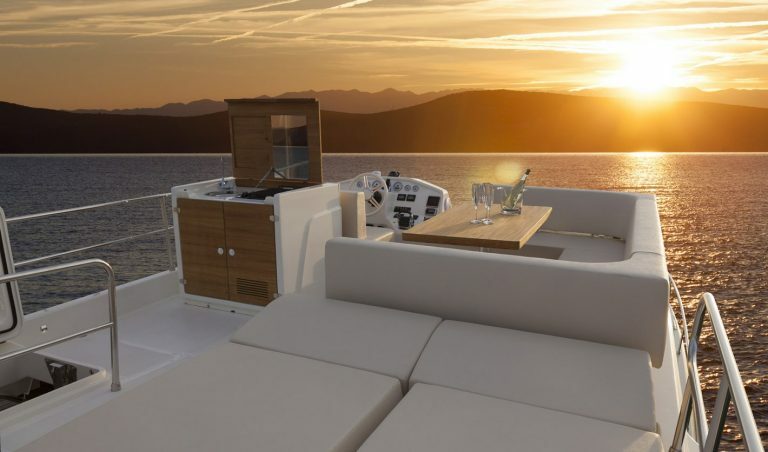 The traditional trawler form is blended by highly crafted features designed to maximise the comfort of all aboard, like the twin sunbeds and settee on the foredeck, easily accessed along sturdy sidedecks. 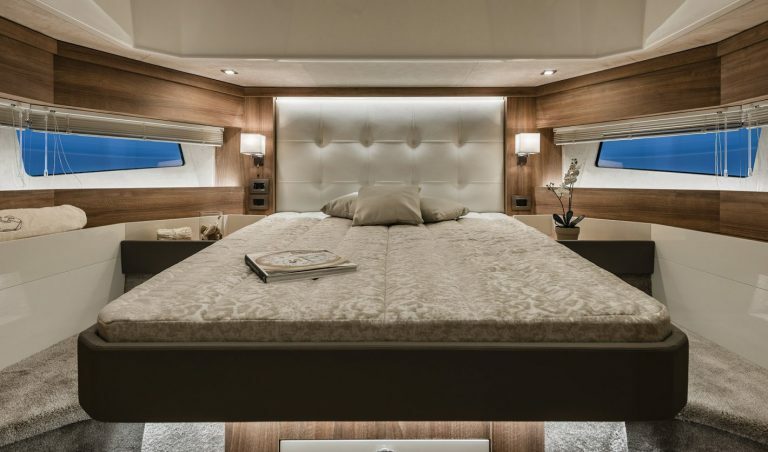 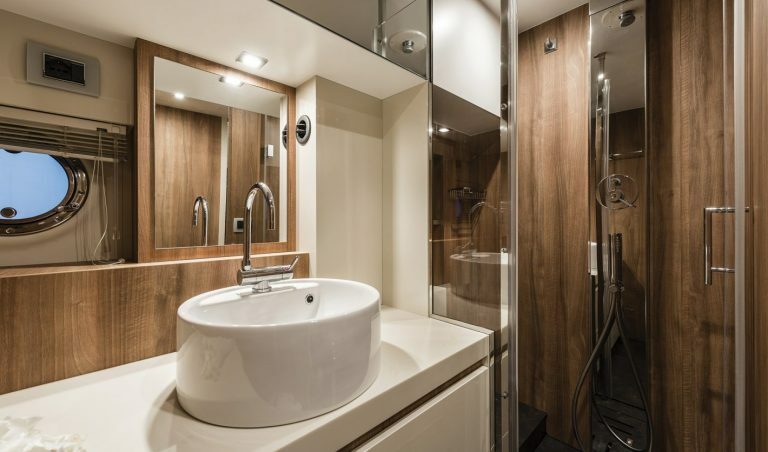 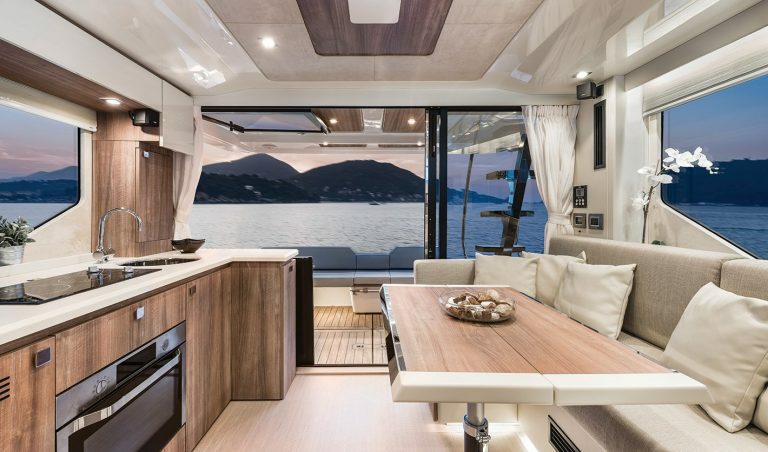 Inside the wheelhouse the focus is on plenty of light to illuminate the Italian craftsmanship of the well appointed features, while below you can opt for master and VIP suites, or a three-cabin layout. 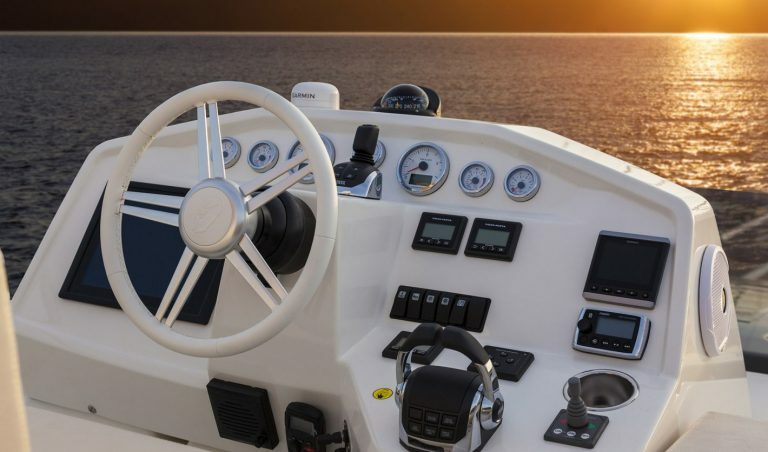 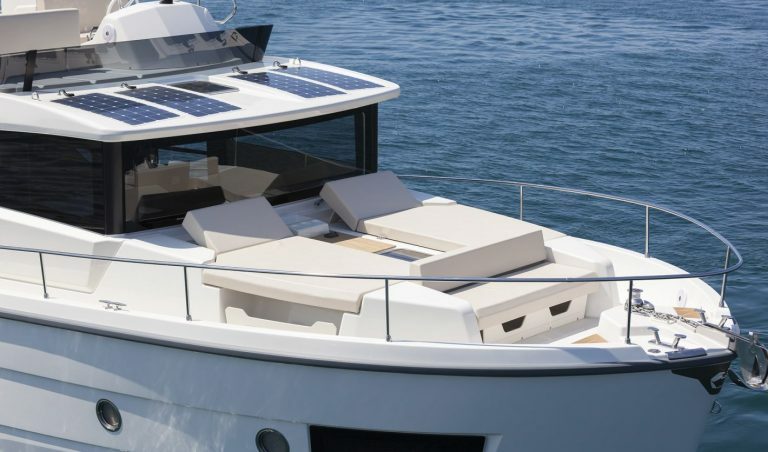 Power is provided by twin Volvo Penta 370hp IPS drives.